It's weekend and you and your friends have planned a super stylish house party! The decoration is already finished, now let's make sure that noone goes hungry und prepare some delicious food! Design cute cupcakes and make sure to match the given recipe. Roast meat and vegetable skewers and finally mix some tasty fruit drinks. Don't forgot to dress up inbetween and select your favorite outfit. Now you're all set to enjoy a wonderful evening with your BFFs! 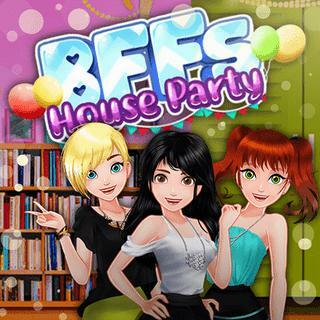 BFFs House Party - Find BFFs House Party in our vast HTML5 games catalogue. Only the best and newest HTML5 games for all audiences. Guaranteed success with Famobi.